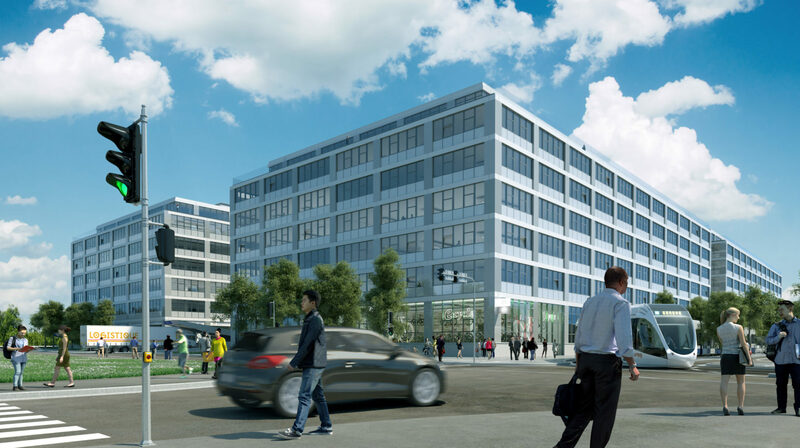 5 buildings of 7 storeys each, 95,000 sqm of mixed space for sale or rent, served by a true underground logistics terminal. 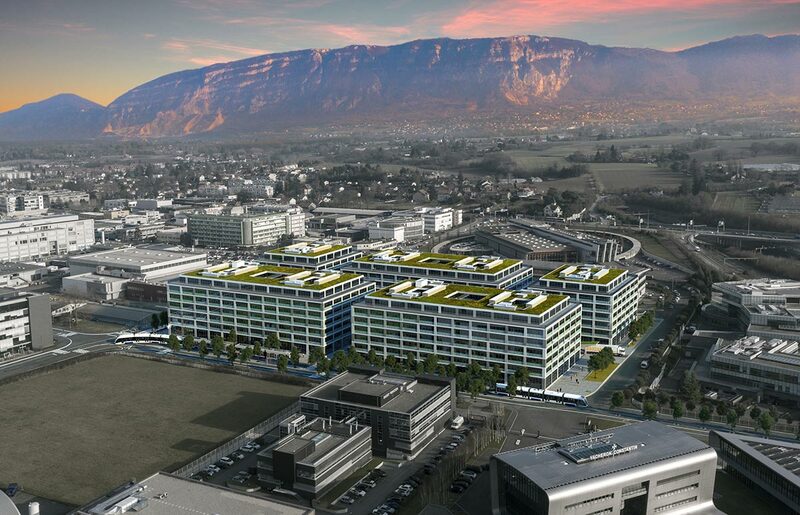 ESPACE TOURBILLON is the last major project in the Plan-les-Ouates municipality, dedicated to industry, crafts, research laboratories, SMEs and services. The site is highly accessible, both by public and private transport. Striking a balance between a high quality working environment and welcoming public spaces to promote exchanges and conviviality, the Brodbeck-Roulet architects have designed public spaces around a central pedestrian precinct, planted with trees, and ergonomic working areas that can be adapted to the tenant’s requirements. ESPACE TOURBILLON will include shops, restaurants and services that complement the sports and leisure activities offered by the Plan-les-Ouates municipality. Swiss Prime Site is the leader among Swiss listed real estate companies (SIX Swiss Exchange). The group is active in real estate investment and development and holds a portfolio of very high value properties in prestigious locations.